Owen talks a lot! He talks so much that his classmates start to get annoyed. A case of laryngitis helps Owen learn a lesson about talking less and listening more. Like Ludwig's book, The Invisible Boy, this one will be useful in the classroom. At the end of the book there are suggested discussion questions to start a conversation about the importance of listening. Jim doesn't feel quite right when he wakes up, but he insists he's not grumpy. His friends give him lots of suggestions to change this, but Jim still doesn't feel happy. With the help of Gorilla, Jim realizes that with time the grumpiness will pass. The illustrations are fun and comical. 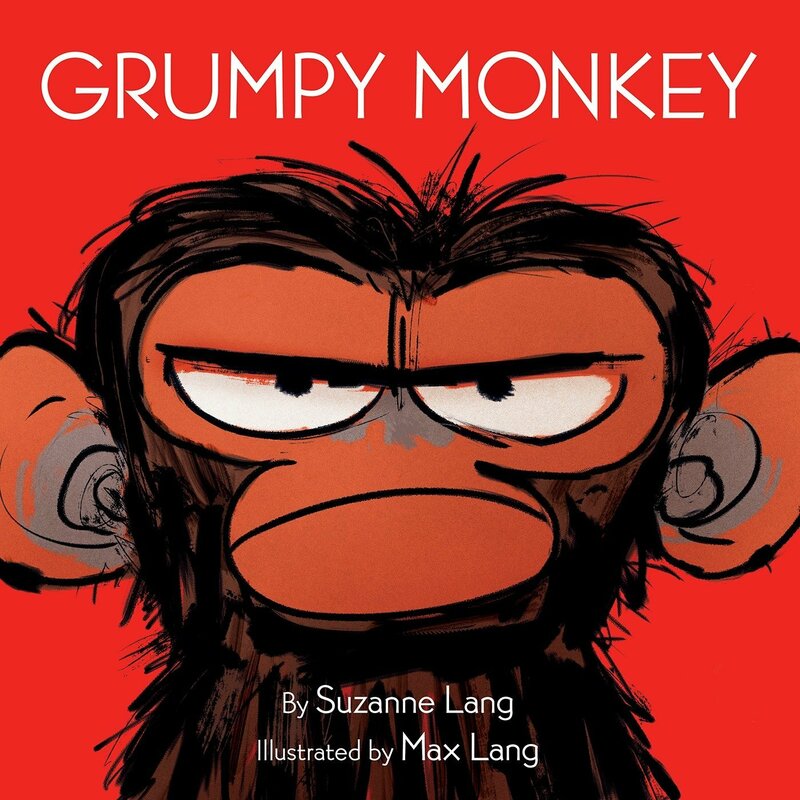 This book will both entertain and convey a message about feelings. This is a humorous and heart-warming read. It's a book about friendship that shows the importance of understanding differences and having empathy for others. For readers of shorter chapter books this will be a delightful read. You can read more about my thoughts about this book here. This is one intense and heart-pounding read! The battles of World War II have just hit Okinawa. Hideki is taken from his school, armed with two grenades, and sent to fight with the Japanese Army. Ray is an American Marine, fighting for the first time. The stories of the two converge as they both fight to survive and make sense of the atrocities of war. These are characters that will stay with you long after you read the book. The story is a raw portrayal of the brutality of war, illustrating how it tears families and countries apart. It also explores how fear can overtake us. There is definitely darkness within the pages of this book, but there is also hope. Personally, I learned from this story as I did not know very much about the battle that occurred in Okinawa during WWII. The author's note at the end provided additional information that I found interesting. Although, many of my fifth graders get interested in reading about WWII, I think this book would be more suited to a middle school audience. Thanks to the author for providing my book review group, #BookExcursion, with an advance reading copy of this book. The book publishes in October. This is the story of the real bear that was the inspiration for the creation of Winnie-the-Pooh. It expands upon the story that was first told in the picture book Finding Winnie: The True Story of the World's Most Famous Bear. Winnie's journey from the woods in Canada, across the Atlantic Ocean, to the London Zoo is a sweet story of friendship and courage, but the book also gives insight into the time period of World War I. I enjoyed this book as much as the picture book. Sophie Blackall's illustrations are wonderful, too. I received an advance reading copy of this book, thanks to the publisher, at the International Literacy Association Conference. The book publishes in September. I am so very excited to read another Alan Gratz book after my experiences with Refugee. I really enjoyed his writing and story telling ability from a variety of perspectives. Thanks for sharing more about Grenade! I had heard just a little bit about it, but I'm making sure it's on my short list after it comes out. Have a wonderful reading week, Lisa! I love his writing as well. The way the stories of the two characters in Grenade paralleled each other and connected was amazing. Alan Gratz' books are always truth-telling, will find that one. And I know I'll love Winnie's Great War, loved the picture book. Quiet Please. . . sounds good to share with kids. Thanks, Lisa! 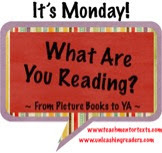 Truth-telling is a great way to describe Alan Gratz's books. They are so powerful! I loved Finding Winnie, so Winnie's Great War looks like an interesting follow up to that. I'll definitely have to look for it. Have a terrific week! If you loved Finding Winnie you will love Winnie's Great War! It is a humorous cover. I think it will definitely attract readers. I love Gratz and need to read Grenade, but I'm a bit weary of WWII books. I know students still read them, but we could use a few more titles on more recent military conflicts. Students definitely love reading about this time period, but I agree it would be nice if there were more books about other conflicts in history. I am a Trudy Ludwig fan so am definitely looking forward to Quiet Please, Owen McPhee. 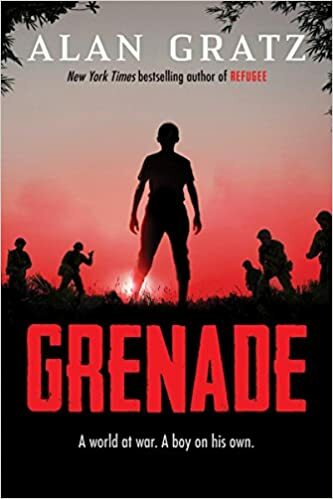 I'm not so sure about Grenade by Alan Gratz. Although I adored Refugee, I find war stories hard for me and couldn't finish Projekt 1065. You will love Trudy Ludwig's book! Winnie's Great War sounds so interesting - I had no idea there was going to be a follow up to Finding Winnie! It sounds like the book dives in to the parts of Winnie's journey that my students found most interesting. I wonder if now that they are a few years older, they would like to pick up a middle grade novel exploring the topic. 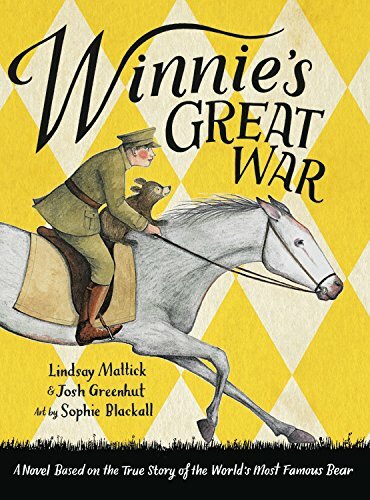 I think your students would love Winnie's Great War! 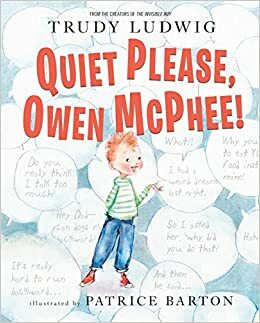 Owen McPhee sounds like a great book for #classroombookaday! And I am definitely interested in Miranda and Maude. Always looking for new transitional chapter books. I need to sign up for my turn. Have a great week! 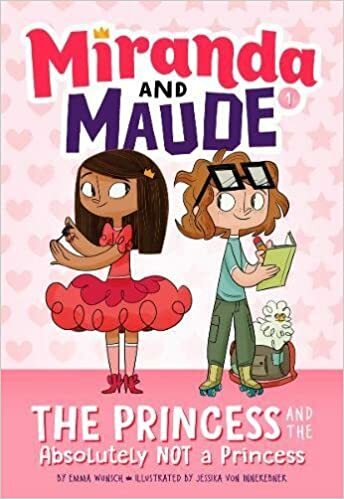 I'm always looking for books like Miranda and Maude, too! And I cannot wait to read Grenade--I love Gratz's books! You'll enjoy both Ludwig's and Gratz's books!